Want the Wii U Launch Titles Full List? Get It Here! Nintendo is setting up a “launch window” for the their new console that will run from November 18, 2012 to March 31, 2013. Throughout that period, you’ll be hit with a barrage of games from different publishers and genres that should satisfy all of your gaming needs. Read on if you want the full list of confirmed Wii U launch titles. If you’re one of the lucky few who have been able to pre-order a Wii U, you’ll have some tough questions that need answers — What are the Wii U launch titles and which ones will you be getting with your brand spanking new console? The good news is that we’re here to help you out by giving you the most up-to-date Wii U launch titles list today! Now that you know what the confirmed Wii U launch titles are and when you can expect them, you can plan your game purchases accordingly. Have fun listing down which Wii U launch titles you’ll be picking up and figuring out how much money you’ll need to get them all! 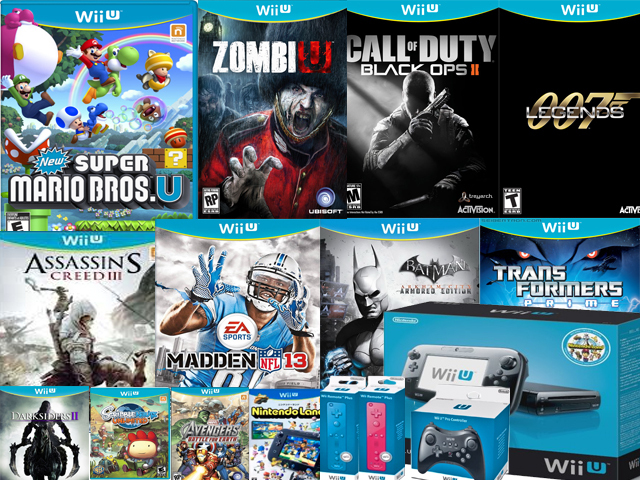 Which of these Wii U launch titles are must haves? List them down in the comments below!